Brandon Ross, his wife, Cynthia, and their doctor say a rare disease, not abuse, caused their son's injuries. More than 18 months after the state took their children from them amid allegations of child abuse they say were patently false, Brandon and Cynthia Ross have been reunited with their son and daughter. 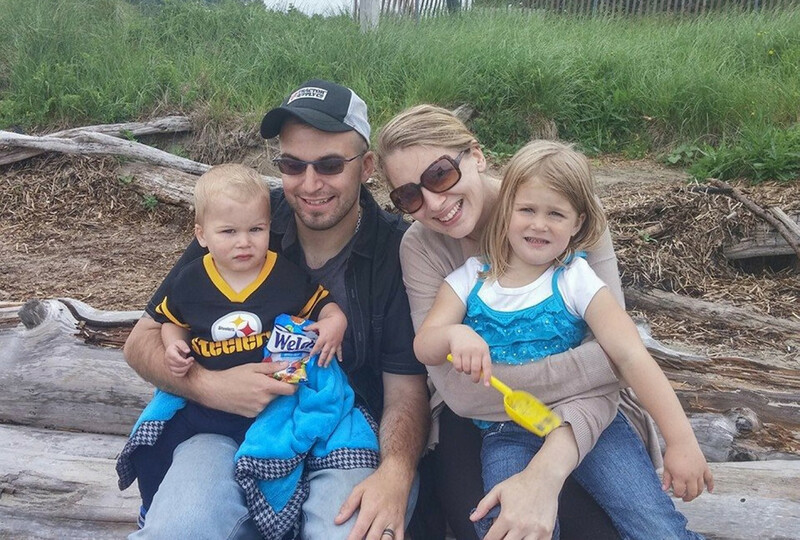 Brandon and Cynthia Ross sit with daughter Rozalynn and son Ryder, who is diagnosed with a genetic syndrome. It started in April 2014, about two months after their son, Ryder, was born. Cynthia, 25, and Brandon, 26, who live in Windsor now but lived in Topsham at the time, took him to the hospital after noticing swelling in his leg. Doctors at Maine Medical Center in Portland said Ryder had a broken leg and other bone fractures. They called Dr. Lawrence Ricci, head of Spurwink’s Child Abuse Program, to consult. Ricci told them that Ryder was the victim of child abuse. Cynthia Ross said that was impossible. “We had a home birth with Ryder and were practicing attachment parenting, so he never left my side,” she said. Ricci told her that if her spouse was abusing their son, he would probably hide it. So Ross had doubts. And the more she thought about it, the more she was convinced Ricci had gotten it wrong. Her husband was loving and gentle with both their children. But by then, it was too late. The state Department of Health and Human Services had taken custody of Ryder and the couple’s daughter, Rozalynn, two years older than her brother. Every time the parents tried to plead with state caseworkers, they were stonewalled, Ross said. She had to stop breastfeeding her son after just eight weeks. “It was obvious these doctors were not advocating for us,” she said. The only consolation was that the children were placed with Cynthia Ross’ father and stepmother, who were licensed foster parents. But she and her husband could visit only under strict conditions. “I sort of made defending my family a full-time job,” she said. Brandon Ross’ attorney, Amy Fairfield, never doubted that her client was innocent. Every month, the Rosses would petition the court for changes to his bail conditions so that they could visit their children. “The hardest thing was telling my daughter, who was 3 years old, that she couldn’t come home with Mommy and Daddy,” Cynthia Ross said. In addition to petitioning the court and fighting with DHHS, the Rosses tried to find out why their son had gotten hurt. 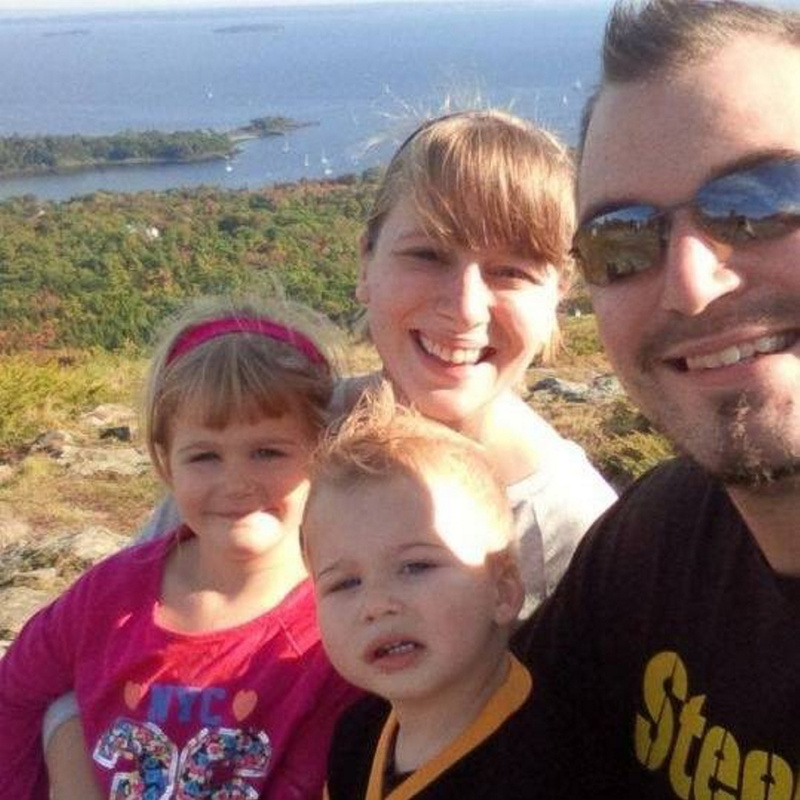 It took them several months, but a Boston University doctor, Michael Holick, agreed to see Ryder in October 2014. Holick diagnosed him with a rare metabolic disorder called Ehlers Danlos syndrome and said that disorder contributed to the boy’s leg fracture. The disease is genetic, Holick said, and Ryder inherited it from Cynthia. The state, however, refused to believe it, Cynthia Ross said. Even in May, when her father and stepmother, Bobby and Toni Morton, revealed that Ryder had suffered a wrist fracture while in their care, Ricci, in court documents, said the new fracture, “in no way alters my opinion that the initial constellation of injuries was abusive.” He also said he was not convinced that Ehlers Danlos has been proven to cause fractures in infancy. Ricci, Maine’s foremost child abuse expert, declined Friday to comment on the case or even to acknowledge that he treated Ryder. Pat Mador, the assistant district attorney who represented the state in the criminal case against Brandon Ross as well as in the protective custody case, did not return a call for comment, either. Dr. David Deyle, an assistant professor of medical genetics at the Mayo Clinic in Rochester, Minnesota, said Ehlers Danlos syndrome has a few different forms but generally manifests in frequent joint dislocation and easy bruising or bleeding. He said bone fractures are certainly possible. Asked whether a child with Ehlers Danlos could be misdiagnosed as abused, Deyle said he’s never seen that happen but didn’t rule it out. As the custody case continued, Cynthia Ross feared that their willingness to challenge the state posed problems. She worried that because they did not agree with the abuse diagnosis, the state might move to terminate their parental rights. Sure enough, that’s what happened – though the state eventually ended up dropping that motion. Ross doesn’t know why. The state does not comment on child custody cases, citing privacy reasons. In 2014, there were 19,239 referrals of child abuse in Maine. Of those, less than half (8,945) were referred for a child protective assessment, and only 27 percent of those, or 2,392 cases, were substantiated. It’s not known how many resulted in the state taking custody. In September, Brandon Ross accepted a plea agreement on the criminal charges against him. The state would drop the felony charges and he would pay a fine but would not serve jail time for two simple assault charges, Class B misdemeanors. Fairfield said her client was conflicted about pleading, but believed it was the only way for his family to move forward. If he fought the charges and lost, it might jeopardize the parents’ custody of their children. So, Cynthia Ross said, her husband swallowed his pride and pleaded to a crime he didn’t commit. “I am still amazed how positive he’s remained about all this,” she said. Last month, state caseworkers approved a trial placement for Ryder and Rozalynn. They lived with their parents but were subjected to unannounced visits. On Thursday, a judge dismissed the child-protection case, and for the first time in more than a year and a half, Brandon and Cynthia Ross got to spend time with their children with no one else around. Cynthia Ross said the 18 months of uncertainty has damaged her family. “The hardest part is that the (doctors) still don’t think they were wrong,” she said. Fairfield said she, too, is frustrated by the lack of accountability by doctors and DHHS officials. She believes there might be grounds for a civil lawsuit. Ross said her family still has to work to get back what they lost. Because of Ryder’s condition, most daycare providers won’t take him because of liability concerns. The Rosses both work full time, but on opposite shifts so they can take turns taking care of their children. She declined to say what they did for a living. They also have to file an appeal with the state to be removed from DHHS’ child endangerment registry – a black mark that could prevent them from working certain jobs or even from going on school field trips with their children. Ross said her husband plans to petition for a pardon from the governor to get his assault charges expunged. But the family is together, she said, and that is what matters to her most.